The country is ill-equipped to cope with a possible rise in homelessness. 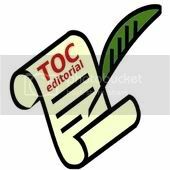 TOC Editorial. In February this year, the grim reality of the economic downturn in the United States was dramatically brought home to Americans by the Oprah Winfrey Show when it highlighted a “tent-city” in Sacramento that had more than 150 residents. Homelessness is a perennial bugbear in the US, but recently it has worsened markedly: various states have reported a surge in the number of people applying for shelter, from 40% in New York to 58% in Louisville. The government has since been scrambling to cope with the deteriorating situation. A similar situation could arise in Singapore, despite official pronouncements that “there are no homeless, destitute or starving people” in the country. The reality is that there were homeless people even during the boom years, but official rectitude has made it difficult to estimate the numbers or to properly assess the cause of their homelessness. The government’s stance on the issue is clear: a brief parliamentary debate in 2007 on the plight of several homeless families elicited the government’s response that they were “homeless by choice”. Nevertheless the government still seems rather uneasy about it. When the predicament of some homeless folk was notably brought to light in 2007 by local filmmaker Martyn See, the censors deemed Mr See’s short film to be unsuitable for those under 16. The problem is that official attitudes could hinder a measured response to the problem. Anecdotal accounts suggest that the number of homeless in Singapore could be on the rise in recent months, with social workers relating a sharp uptick in the number of those trying to get admission into shelters. The situation could worsen as the downturn deepens, given that unemployment as well as foreclosures are on the rise. Already, the country seems be ill-equipped to cope with a possible increase in the number of homeless people. The government would prefer the individual to depend on his extended family for help, but such support would be taxed by the severity of the current downturn as well as the decline of the extended family due to low birth-rates over the past years. The Housing and Development Board (HDB) does offer rental units for homeless folk, but such units are comparatively few in number and there is usually a long waitlist for them, though HDB does provide interim housing to those who are waiting. It has also recently tightened its criteria for determining who is eligible for rental housing: those who have bought and sold a flat more than twice are permanently barred from renting or even from getting a housing loan from HDB. Moreover, there are few shelters that the homeless can turn to, with only one that specialises in displaced families that has room for about thirty families. Some homeless folk have made their homes in public parks, but their fate is uncertain after the National Parks Board this month reintroduced a system of permits that it did away with in 2004 to regulate those who want to camp in parks. Help for the homeless, whether private or public, would surely be hindered by the lack of information about the extent of the problem. On that score, the government certainly needs to do more. It is instructive that those who fall into homelessness and destitution often face an uphill task to climb out of their predicament – the Sacramento “tent city”, for example, has been existence for a decade and was no recent phenomenon – so what may seem to be a temporary problem brought on by the current recession could in time turn out to be something more durable than expected.